The Spokane, Portland and Seattle Railway (reporting mark SPS) was a United States-based railroad incorporated in 1905. It was a joint venture by the Great Northern Railway and the Northern Pacific Railway to build a railroad along the north bank of the Columbia River. Railroad (BN), the consolidation of the Great Northern Railway, Northern Pacific Railway, and Chicago, Burlington and Quincy Railroad. Due to outstanding bonds, the SP&S was not merged into the BN until November 1, 1979. The Burlington Northern continued to operate it until 1987, when it announced intention to vacate the right-of-way between Snake River Junction (near Ice Harbor Dam) and Cheney. The segment between Portland and Pasco continues to serve successor BNSF and enjoys heavy traffic due to its low-grade and slight curvature crossing of the Cascade Range. In 1991, the Washington State Parks system acquired the right-of-way and established the Columbia Plateau Trail State Park This park is a 4,109-acre (16.63 km 2), 130-mile (210 km)-long rail-bed trail that traces that portion of the 1908 route of the Spokane, Portland and Seattle Railroad between Cheney and Ice Harbor Dam on the Snake River. The railroad was chartered in 1905 by James J. Hill for the purposes of connecting the two transcontinental railroads owned by him, the Northern Pacific and Great Northern, to Portland, Oregon from Spokane, Washington, in order to gain a portion of the lumber trade in Oregon, a business that at the time was dominated by E.H. Harriman's Union Pacific and Southern Pacific railroads. 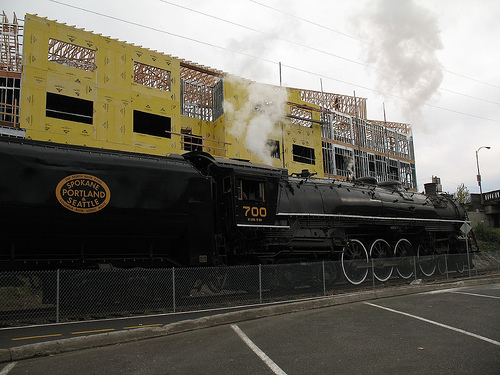 Construction began in 1907 under the name Portland & Seattle Railroad, proceeding eastward from Vancouver, Washington. Within a year, and despite legal challenges from Harriman, who wished to block its construction, the line had been built as far as Pasco, Washington along the Columbia River, where there was a connection with Northern Pacific lines. The same year, Spokane was added to the railroad's name, which became Spokane, Portland & Seattle. By 1909, the railroad had completed construction of its line up to Spokane along the Snake River. 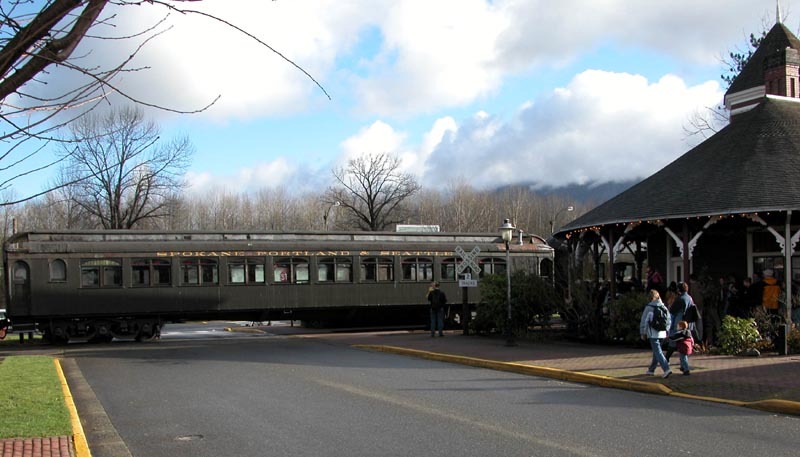 In 1910, SP&S gained control of the Oregon Electric interurban railway, which the Great Northern had acquired two years before. Under the control of the SP&S, the railroad was extended southward to Eugene, Oregon by 1912. SP&S also operated a second subsidiary railroad in western Oregon, the Oregon Traction Company, which owned a route to Seaside, Oregon. A third route on which the SP&S operated extended southward from Wishram, Washington to Bend, Oregon, which was jointly operated with a Union Pacific subsidiary, the Oregon-Washington Railway & Navigation. During World War II, the SP&S benefited from a significant increase in traffic along its lines, as war materials moved along the railroad towards the Pacific Theatre, and new industries located along the Columbia River, taking advantage of cheap electricity from hydroelectric dams on the river. 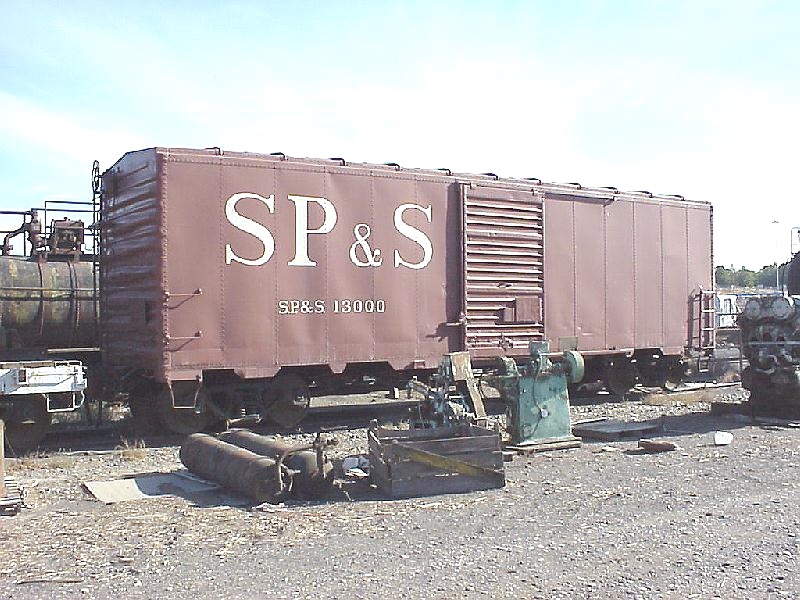 New industries served by the SP&S included aluminum plants, sawmills, chemical factories and grain elevators.In 1954, an SP&S train derailed after hitting a rockslide on the route to Bend, Oregon. Part of the train landed in the Deschutes River, including a boxcar, which landed in a rapid that was later named "Boxcar Rapids" after the incident, which killed the entire crew of the train. train of its own, the Columbia River Express (#5/#6), which provided service along its main line between Portland and Pasco following the Columbia River most of the way. The Columbia River Express connected at Pasco with Northern Pacific #5/#6 for service to/from Spokane. Attorney for the Spokane, Portland and Seattle Railway in the Oregonian. 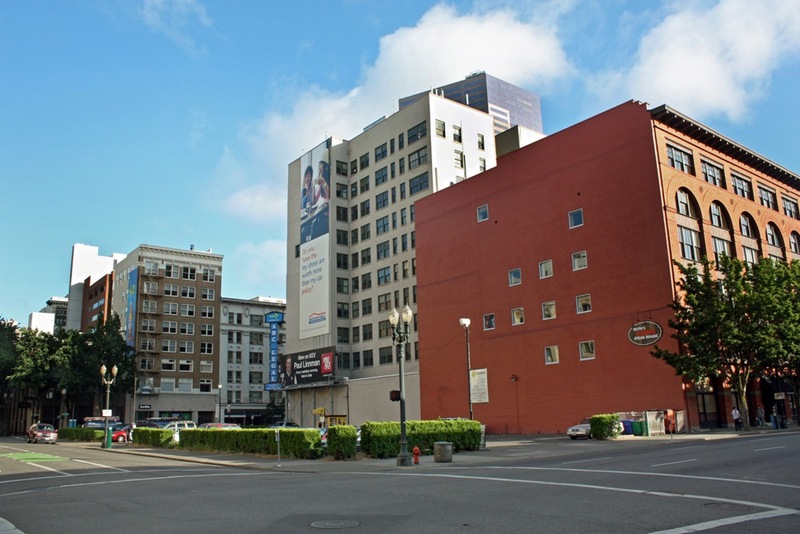 Third and Stark, July 16 2010. Still waiting for that development.